Our migration agents are registered with the Migration Agents Registration Authority and are members of the Migration Institute of Australia. The key to our success is having staff who understand and can respond to the needs of different cultures where majority of them have personally been through the immigration process, and are committed to make the immigration process as smooth as possible. Perdaman Global Services staff possesses multi-lingual capabilities and are able to speak and interpret English, German, French, Filipino (Tagalog & Cebuano),Bahasa (Malay), Chinese (Cantonese, Mandarin), and Hindi. Our Chief Executive Officer (CEO), Maegha Rambal has extensive experience in both the private and government sectors. Prior to moving to Australia in 2000, Maegha held senior positions in the Comptroller and Auditor General of India. Her qualifications include a Bachelor of Science (India) and a Master of Science in Mathematics (India). While in Australia, Maegha has been involved in the various business investments relating to growth of the Perdaman Group. 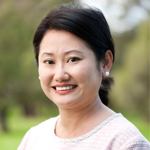 Maegha brings to Perdaman Global Services the financial audit management and Diversity in leadership of the Perdaman Global Services team. 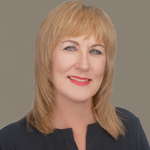 Noelene is the Chief Operating Officer (COO) of Perdaman Global Services. Noelene registered as a migration agent in 2000, with more than 17 years experience in migration. 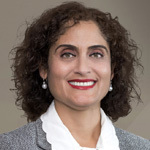 In Western Australia, she is the spokesperson for small and medium business clients and has been successful in influencing government immigration policies. Noelene has actively and successfully been involved with implementing lobbying strategies on behalf of her clients. She has also been successful representing clients at the Migration Review Tribunal. David is a former Consular Official of the NZ Ministry of Foreign Affairs and Trade (postings to NZ Embassies/Consulates in Papua New Guinea, Republic of Korea, Germany and Perth Australia) and is a past director of the NZ Association for Migration and Investment. David is a New Zealander and is the most experienced, fully licenced New Zealand Immigration Adviser resident in the UK. He has some 31 years of experience assisting new migrants with visas and settlement in NZ in addition to his earlier NZ Government experience. He has undertaken international recruitment and/or visa projects for some of the largest companies in Australia and New Zealand. David’s experience of all three countries and residence in the UK, makes it possible for him to undertake initial assessments on behalf of our Australian and Canadian experts also. Steven Johnston is a member of the Immigration Consultants Regulatory Council of Canada (ICCRC), which is the only regulatory body for immigration consultants in Canada. Between 2004 and 2008, Steven has worked at the federal government for the departments of Immigration, Refugee and Citizenship Canada (IRCC) and Employment and Social Development Canada (ESDC) in the Temporary Foreign Workers’ Program. 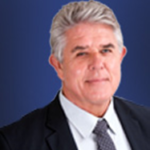 Steven has overall 14 years of experience providing quality services in English and French. 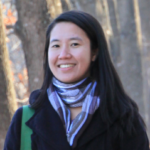 Yin has been practicing as a registered migration agent since 2003. Yin currently manages a large volume of SBS/457 (Corporate and Non-Corporate) visa applications for construction/mining and hospitality industry. Yin is fluent in Mandarin. Yunsheng is a Registered Migration Agent. 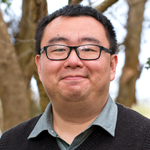 Before joining Perdaman Global Services, Yunsheng was an English teacher working with students of culturally and linguistically diverse background, which includes migrants, refugees, asylum seekers and international students. As a NAATI certified translator, Yunsheng is fluent in English and Mandarin. He holds degrees in education, linguistics and psychology from the University of Western Australia. Reena is a Registered Migration Agent with solid experience on employer sponsored, independent and family visas. 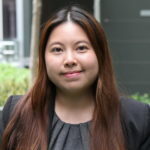 She has over 7 years experience within the Australian migration industry and also worked as a Migration Consultant specialising in corporate clients in France. 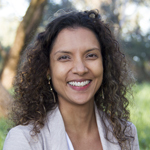 Reena holds a Master Degree in International Trade from Curtin University and a Graduate Certificate in Migration Law from the Australian National University. 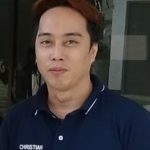 Christian Sunga works offshore in Manilla as a registered recruitment Officer and has partnered with Perdaman Global Services for the past 11 years. He graduated with a Business Information System’s degree. Christian now leads the recruitment team in Manilla from sourcing to screening of applicants to match the clients’ position qualifications. Over the years, Christian has provided different types of candidates from professional to skilled quality trade workers. Christian's aim is to continue to source quality workers that will exceed the client’s expectations. Melanie supports the Perdaman Global Services Registered Migration Agents as a Visa Coordinator. 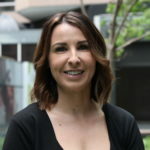 She has a Diploma in Business Administration and Human Resources from TAFE Perth, and first came into contact with Perdaman Global Services back in 2004, when Perdaman Global Services helped her transition from a student visa to an employer-sponsored visa. A few years later Mel became a Permanent Resident and worked for Perdaman Global Services in the Accounts Department from 2005-2009. Mel then took an extended break from paid work to focus on raising a family - and in July 2017 Perdaman Global Services won her back in her current role as a Visa coordinator. Kelly joined Perdaman Global Services in 2011. Kelly has a good understanding of cross-cultural business and she is keen to deliver the service to a high degree of quality. Prior to joining Perdaman Global Services, she was a HR Adviser of a Chinese state-owned mining company in Perth. Kelly holds a Master Degree in International Business and a Bachelor Degree in Commerce (Management) from the University of Adelaide. Kelly is fluent in Mandarin. Juliana joined Perdaman Global Services in 2018 and supports Registered Migration Agents as a Visa Coordinator. 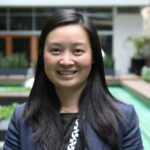 She holds a Master Degree in Accounting from Curtin University, and a Bachelor of Commerce Degree from University of Western Australia majoring in Management and Human Resources Management. Before joining Perdaman Global Services, Juliana worked as an Accounts & Administration Support in a private finance advisory company in Perth. Juliana is fluent in Mandarin. Connie has done her diploma in Hospitality & Tourism back in Malaysia where she comes from. After graduating, she worked in the Front Office & Sales Department in the hotel industry in Malaysia & Singapore for about 4 years. After moving to Perth, she graduated with a degree in Bachelor of Arts (Asian Studies), after which she started working as a receptionist/admin assistant in an accounting firm. Connie has now joined the Perdaman team to support the Registered Migration Agents. Connie is fluent in Mandarin, Bahasa & Thai. Racquel, fondly known as Kaye, has worked for a number of years as an Administrator. Her experience spans back in 2005 where she worked for a private multinational pharmaceutical company headquartered in Germany. She also had experience and exposure in coordinating visa applications for both local and expatriate employees requiring to travel for business trips to various locations in Europe. Kaye holds a Bachelor’s Degree in Computer Science. Kaye will work closely with Perdaman’s Senior Registered Migration Agent as well as other Visa Coordinators in the Migration Department. Justene entered the immigration industry in early 2007 where she was employee of the year 2008 and processor of the year in 2009 before reducing to part time upon the birth of her first child in 2011. Justene worked for a total of 7 years in the same company before leaving after the birth of her 2nd child. In 2015, Justene began work with a migration company where she gained experience working with partner visas from all categories. Justene joined the Perdaman team in November 2018, bringing with her more than 10 years experience preparing and lodging visa applications. She is very passionate about helping people immigrate to or visit our great country and still find new things to learn every day. Sandra joined Perdaman Global Services in October 2018 as Receptionist & Front Office Coordinator. Sandra brings with over 20 years of her administration & corporate skills from a diversity of backgrounds from Legal, Aviation, Recruitment, Transportation, Finance, Mining & Construction just name a few. Sandra moved to Perth WA in 2008 from Sydney NSW and has never looked back. Sandra has a passion for cooking, gardening, crocheting and is a qualified Travel Consultant. Stephanie Marshall completed a HNC in Office Management in the UK before migrating to Australia in 2004. She then began part-time work with Perdaman Global Services while studying for her Diploma in Human Resources. She became a visa coordinator in a full-time position before she decided to take a break from paid work to focus on raising a family. 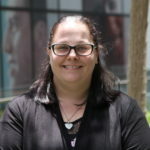 Stephanie returned to the company in 2017 as a visa coordinator but soon moved into the Translating and Interpreting Services as Project Manager. Stephanie deals with individuals, the business sector and government agencies to provide them with high-quality translating and interpreting services. Ailsa Rothwell studied International Business back in the UK and worked in the legal services sector before emigrating to Australia in 2012. Ailsa has 6 years recruitment experience within Australia, dealing with small to large heavy industrial and commercial businesses nationally. 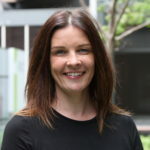 Ailsa has joined Perdaman Global Services as a project manager, she brings a wealth of knowledge and understanding around recruitment therefore allows her to provide options and support to clients throughout Australia with their best interest in mind. Ailsa has partnered with local and global companies to assist with project recruitment, ad hoc, shut down maintenance and ongoing permanent needs. Jody joined Perdaman Global Services in 2015 as Receptionist and Administration Support. 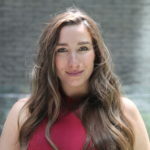 With her experience and skills gained working in a Consulate office and in the Banking Sector, Jody has developed a high level of Customer Service and attention to detail. Jody’s strong work ethic and helpful and friendly nature ensures that our clients have the best possible experience when contacting Perdaman Global Services. 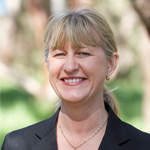 Her diverse range of skills also provides a strong support to all members of the Perdaman Global Services team. After graduating with a Master degree in Digital Marketing from Paris, Priscilla has worked in the real estate industry as a Marketing coordinator in Abu Dhabi (UAE) before joining the Perdaman team. Thanks to her expertise in social media, website content and marketing strategy, Priscilla strives to increase Perdaman's presence in the digital space. 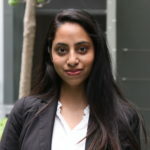 Eesa is our Assistant Accountant, she has extensive experience in accounting, customer service and business management. Prior to joining Perdaman Global Services, Eesa has held Accountant positions in private sectors and had run her own business as a franchisee for many years. 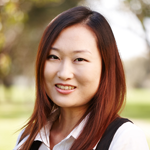 She hold a bachelor of commerce degree from Curtin University majoring in Accounting and Small Business.